Residents and visitors alike will be drawn to an energetic new destination along the Scioto River in the Bridge Street District. This urban, walkable area is poised to make Dublin a healthier and more vibrant city in which to live, work, enjoy and thrive. New parks situated along the banks of the Scioto River will invite you to interact with this otherwise overlooked natural resource. 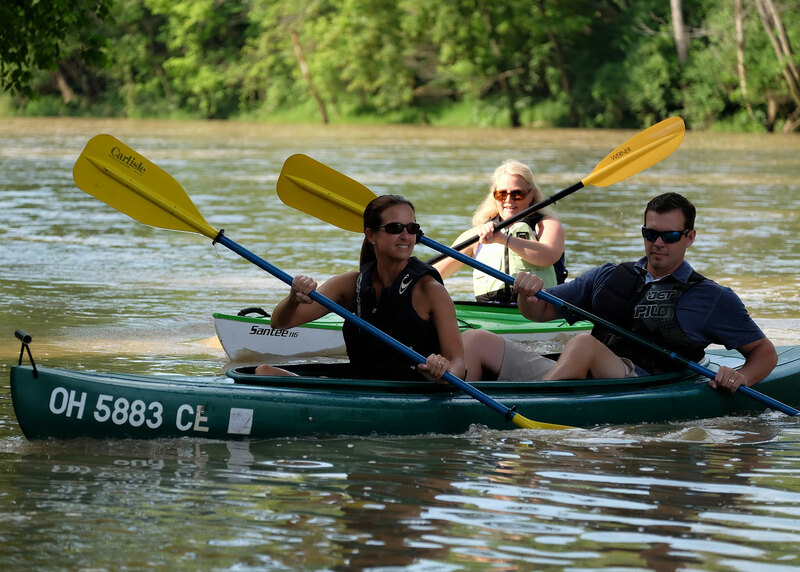 Take a stroll along the river, have a picnic in the grass, or truly connect with the water from a kayak. Do some shopping, run errands and grab a quick bite, all in one walkable area. Whether you’re living or working within walking distance or traveling to get here, you’ll enjoy the convenience of quick access to shops and services. Explore new restaurants or catch a movie. A vibrant night life lends itself to a night out with friends, family and loved ones. Dublin has a rich history of inspiring cultural appreciation through efforts like Art in Public Places and the Dublin Irish Festival. In keeping the tradition, the Bridge Street District will be a cultural experience with public art displays, outdoor performances and a new library. Dublin is revered for creating an outstanding quality of life for its residents, and the Bridge Street District further enhances that sense of community. Within walking distance of the heart of the city, Historic Dublin, the Bridge Street District will be host to city celebrations and community events, connecting neighborhoods, businesses, civic uses and green space.